Unlike many other sports, running can be done anytime, anyplace and by anyone. Whether you are a professional runner, running enthusiast, or just do it every now and then – knowing how to look after your body is always the most important factor. We have created a list of tips to help you prepare and recover correctly when running. It isn’t about being the quickest or the strongest – it’s about being the smartest. What you do between training is as important as what you do while you train. Learning when to rest is a key part of running, especially when training for an event. Although it may feel like you are restricting your training, resting is essential for your body to repair. A lot of conditions, especially tendon problems, require around 24 hours post-run to strengthen the tissue. The body is in a constant balance of tissue breakdown and tissue strengthening, therefore, if you run without allowing a sufficient amount of rest, you run the risk of tissue breakdown. If you are entering a competition or a race, it is important to remember that we train to race, not the other way round. The purpose of training is to gradually build your body up so that it is in good enough shape to deal with the demands the event/race takes on it. Pushing too hard, too soon can affect your training for the weeks ahead, so try to think about the bigger picture. Tailor each run for one thing in particular, for example, speed or endurance. This way you are in more control of the muscles you are using, making for a simpler recovery period. For any niggling injuries that you have, make sure you understand why it is niggling. What has caused it and what can be done? Training through the pain won’t help the injury in any way. Don’t be afraid to get a proper diagnostic from a Physiotherapist – it could be the difference between having a niggling injury that can be easily healed, to having a serious injury that stops your training altogether. 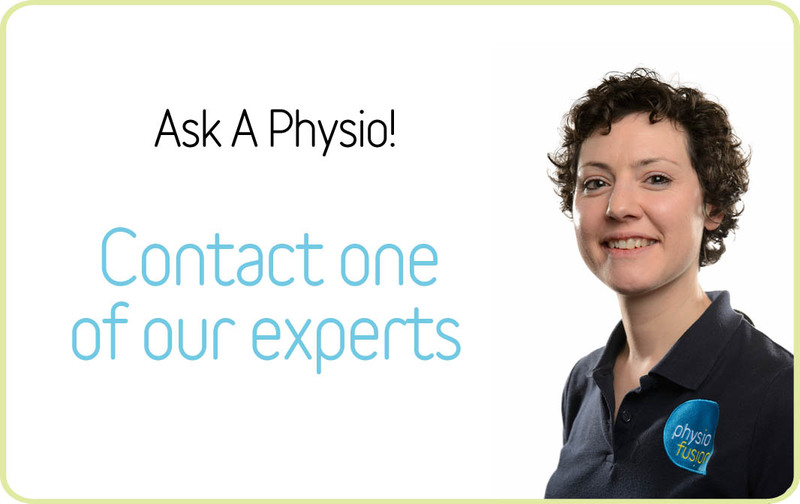 You can use our ‘Ask An Expert’ service online for FREE advice from our very own expert Physiotherapists. We often preach the term POLICE within the industry – Protect, Optimal Loading, Ice, Compression, Elevation – this process is what we recommend as being a sensible approach to recovery for any injuries that aren’t severe. If you feel the pain has not been resolved, chatting to a Physio will give you a clearer understanding of whether you may need physiotherapy, sports massage, or just expert advice to best treat your injury at home. Once you’ve identified the cause of your problem, then you can start rehab-ing it. The most effective way of strengthening is identifying specific weaknesses and working on them. Common problematic areas for runners tend to be the calf, glutes and quads. Strong muscles will absorb impact more effectively and help to improve running economy (how efficiently a runner uses oxygen while running at a certain pace). Strength and movement control are intimately linked and it is difficult to control movement without adequate strength. After injury, it’s really important to strengthen weak areas before returning to running. Our advice would be to try a method used by many professional athletes, Plyometrics, also known as “jump training” or “plyos”. These are exercises in which muscles exert maximum force in short intervals of time, with the goal of increasing power (speed-strength). Keep an eye out for an article dedicated to Plyometrics in the future. The control and stability of movement is very important when running. If you have poor control, you are likely to have excessive movement during the impact part of running, which can place a lot of stress on certain structures of your leg, leading to further injury. This excessive movement (as it is not a pure forward movement) will also slow your times. Assess your single leg balance and single knee dip: is your balance good? Can you maintain balance without movement of the pelvis, ankle or knee? When you do a single knee dip can you do so without the hip adducting (which makes the knee move inward)? If you find one side is worse, it is important that you don’t continue your normal training regime until both sides are of equal strength – do your homework! Runners will often suffer from muscle tightness or joint stiffness before and after training. This is usually from using generic stretching methods rather than specific stretches for areas that are tighter than others. Common muscles that become problematic without correct stretching are the calves, quads, hip flexors, ITB and hamstrings. Take your warm-up and cool-down seriously, ensuring the areas you find are most tight are stretched properly and thoroughly. Alternatively, having a sports massage can work wonders for those serious about training injury free. Therapists will specifically target soft tissue injuries, making it the ideal therapy for runners. Regular sports massages are now part of many athletes injury prevention strategy. Having appropriate footwear is an important part of your running. Old, worn out shoes will offer little support and it’s recommended you change your running shoes after 350-500 miles – similar to a car changing its tyres after so many miles. When the tyres are worn, the car handles poorly and worn shoes will impede your running and could cause an injury further up your leg as your body compensates. You also need to choose the right shoe for your foot shape. Look for a stability or motion control shoe for over pronators and a well cushioned shoe for people with high arches. A growing number of runners are now moving away from supportive footwear towards minimalist shoes. The theory is that with a gradual introduction to these shoes the muscles in the foot and ankle will strengthen and provide the support. If you are unsure about what footwear you need, speak to one of our biomechanical practitioners. They will give you a full analysis of your foot and what type of footwear you will need. We will do a more in-depth article on footwear soon! Runners often seem reluctant to ask for help for several reasons. They worry they will be told not to run and how do they know who they can trust. Running tends to give under the impression that it is a simple sport, therefore, only ever needs simple advice, such as, “stop running, rest for a few weeks, stretch more”. However, this isn’t the case! Find a Physiotherapist that understands running and has experience of managing runners. The better they get to know you, your body and your training, the easier it will be for them to help you manage any injuries. For any information regarding running and injuries, use our FREE ‘Ask An Expert’ service on our website www.physiofusion.co.uk or contact us on 01282 453 110 to book in with a professional Physiotherapist or Biomechanical practitioner.